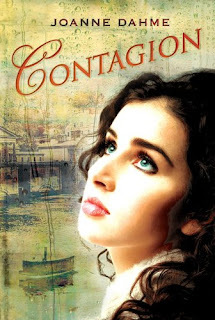 Summary:In her fourth novel Joanne Dahme creates another page-turning tale in which a youngwoman named Rose strives to rid Philadelphia’s water of the deadly typhoid bacteria. Set in the late 19th century, Rose Dugan is a young wife who is actively involved in her community. But when her best friend is killed while working at Philadelphia’s Water Works' gardens, the mystery around her death pulls Rose in. Will she save the city from a deadly typhoid outbreak that is threatening the city’s water system? Will Rose unravel the mystery behind her best friend’s murder—a fate that was actually meant for her? This one sounds interesting. Thanks. Please enter me in this giveaway. Thank you so much. I would like to be entered for this book. Thank you. Oh a murder mystery AND a historical? I would love to win! Thank you! What is it about deadly diseases that make me want to read about them? yay I've been wanting this one! I have never heard of this, but it sounds really good! Woot-Philly historical fiction! Sounds right up my alley! Love historical fiction. Sounds like an interesting read.